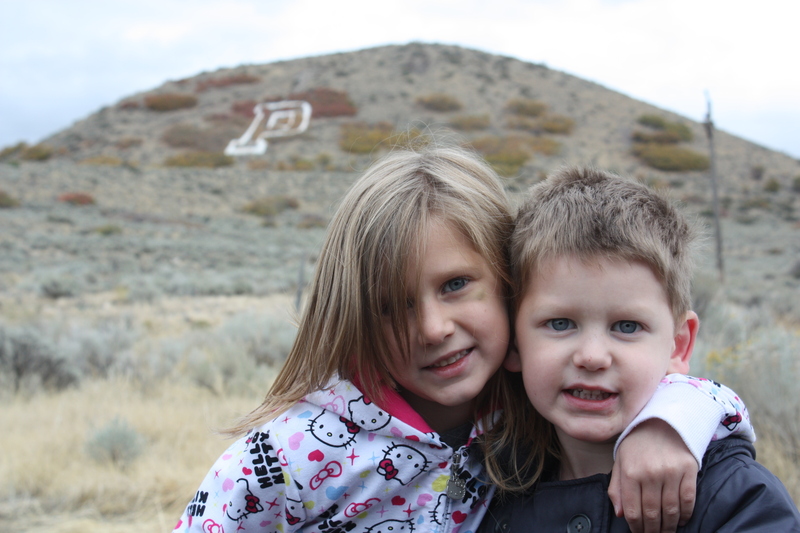 Hiking Payson mountain, or as Kaisa call it, "the mountain with p on it." 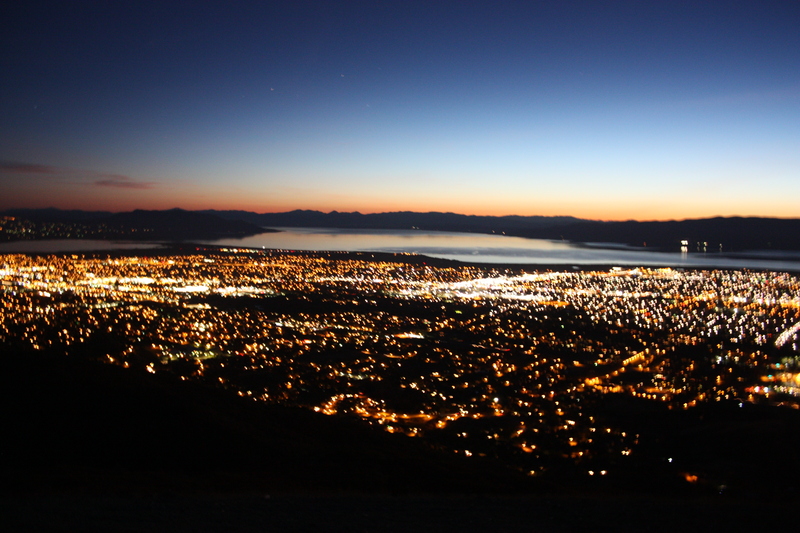 Driving up to Squaw Peak to see the city lights. And what October blog post would be complete without Halloween pictures? 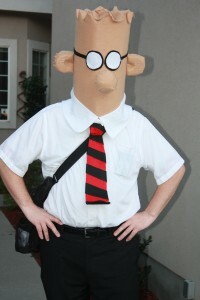 Nathan was Dilbert. 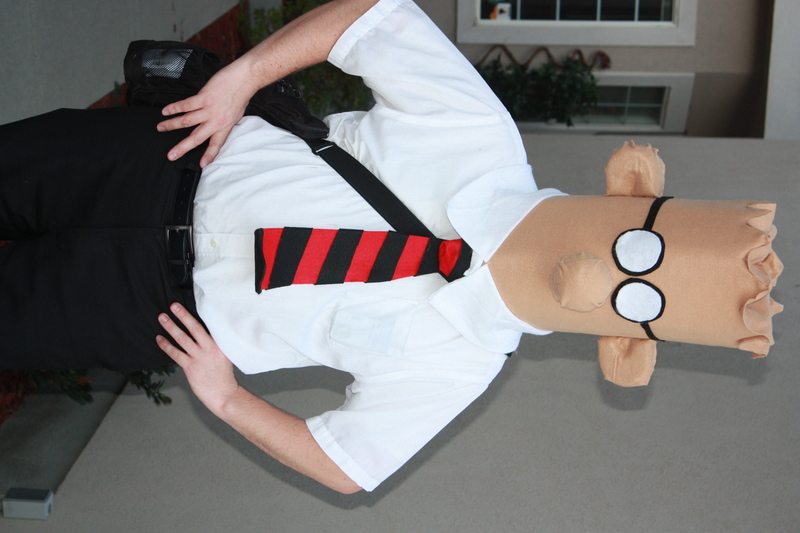 We worked on the costume together and it took us a couple of hours. We used mostly felt, foam, and spray adhesive. I did a little stitching on the nose. We found the tutorial here. It was a big hit at the office! He couldn’t really see with it on, though. Everett was a fireman. Grandma got him the jacket, I borrowed the hat from a friend, and the pants came from his drawer. 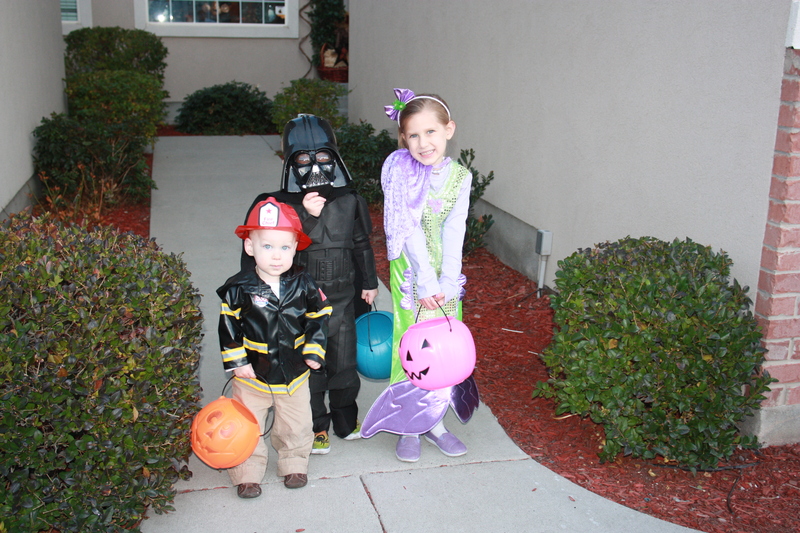 Everett was Darth Vader. The suit is from a costume I scored for $5–it is the death star storm trooper. It has a different mask, so when Everett said he wanted to be Vader, I just ordered the mast from Amazon for $5. The cape is actually from his Batman birthday party. Kaisa said she wanted to be a mermaid and I pondered sewing her a costume. Then I saw this one at Costco for $18 and couldn’t say no. 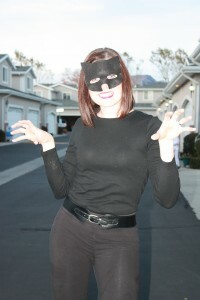 I threw this Cat Woman costume together at the last minute. 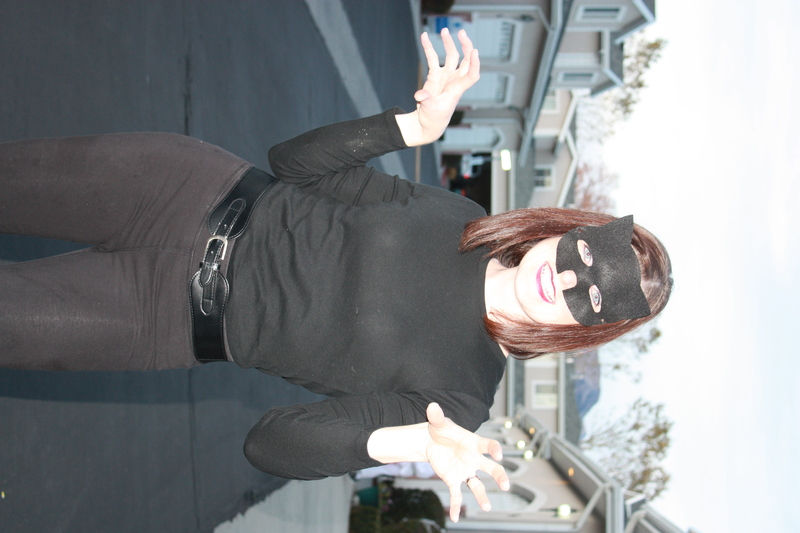 Black shirt, leggings, and belt from my closet and a mask cut out of felt. Found the mask pattern online here. Total spent on my costume: $0. Total spent on the kids costumes: $30. Total spent on Nathan’s costume: $40. I win! 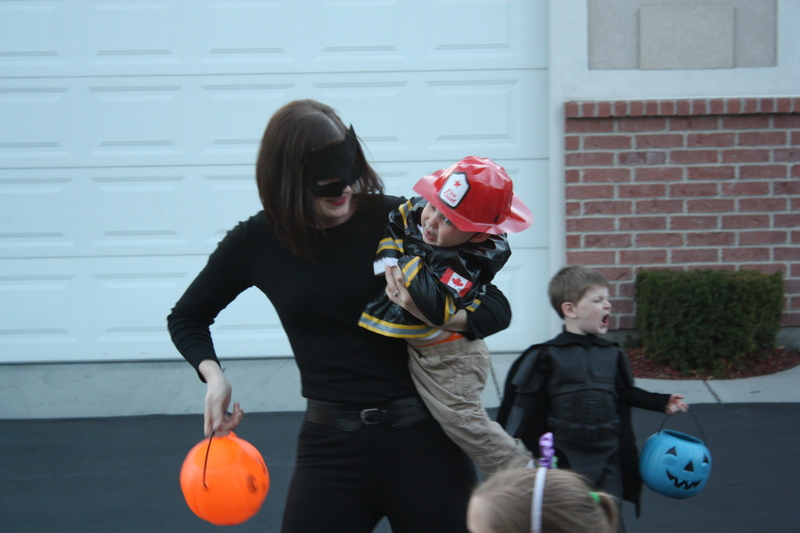 Trying to trick-or-treat with Harrison was a nightmare. 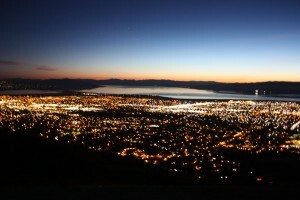 He wanted to walk, but when I would put him down, he would just take off running. Also, he wouldn’t put the candy in the bucket. He wanted me to open every piece so he could eat it. When I would put it in his bucket, he would scream. Needless to say, that didn’t last long. I took him back to Nathan and went trick-or-treating with just Kaisa and Everett. 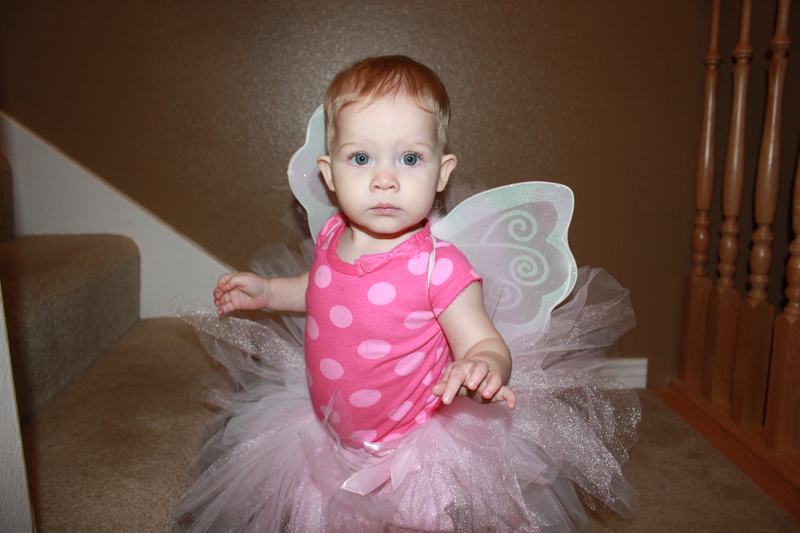 My sister also came trick-or-treating with us and brought her cute little girl, Paisley. She was such a cute fairy!